It can be confusing to know which is the best blender for protein shakes, because there are SO many different ways to create protein shakes. In this article, I’m sharing all the different ways of making protein shakes and the best blenders for the job depending on whether you just use powder, or you like to make protein shakes with whole foods. You can make protein shakes just based on mixing water and protein powder together, and in which case you would not need a very powerful blender. Just the ability to mix at a slow speed would do the job here. This blender does a great job of that. Or you might want to blend up other ingredients such as nuts and fruit to make a more natural protein shake. In which case, you’ll be needing a more powerful blender like this one on Amazon. If you just wanted to make a quick protein shake that serves one person, a mini or a personal blender would be a perfect fit for you. This is my favorite personal blender on Amazon. Or perhaps you want to make a large batch of meal replacement protein shake that your whole family can enjoy. 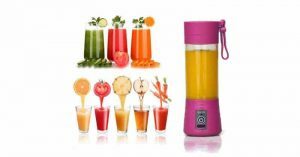 For this type of blending, you will need a large jug with a bigger capacity and a more powerful blender like this one on Amazon. As there are a few different types of blenders involved in the process of creating the perfect smooth protein shake, I’m going to review my favorite 7 blenders for protein shakes so you can choose the perfect blender to suit your needs. I personally use blenders from all different types of categories depending on my needs. But because I drink so many shakes and smoothies, I tend to make larger batches using a larger jug blender most of the time. This is the blender I use at least twice a day to make large batches of homemade protein shake for me and my family. If you’re just starting out at the gym or you’re seriously into bodybuilding, you might be advised to take powder supplements to ensure muscle building and repair when you’re trying to build muscle. Another reason to consume extra protein is due to the significant muscle loss that happens during dieting. Consuming extra protein while you are losing weight can help prevent muscle loss. When I went on a raw food diet for 10 months, I lost a lot of weight but I also had significant muscle loss and complete loss of strength. When I went to the gym, I literally couldn’t even lift the lightest weight on any of the machines. 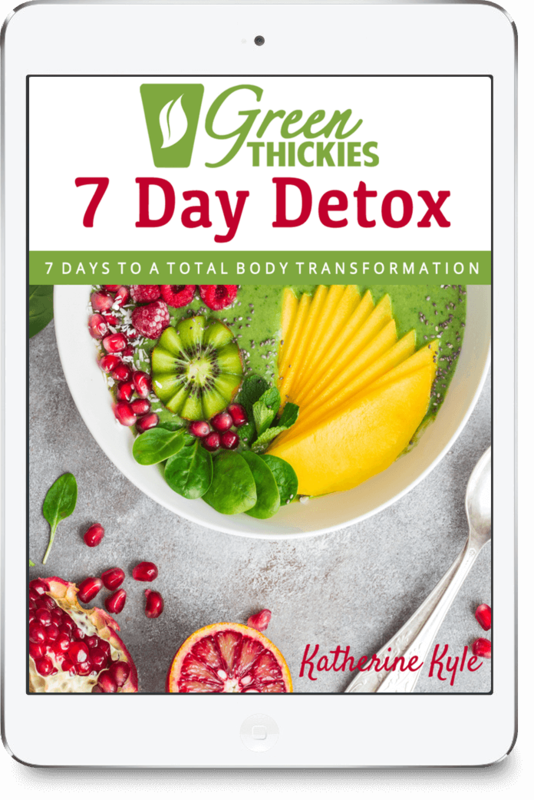 When I started consuming healthy protein shakes, combined with a dedicated muscle building program, I was able to gain 11 pounds of muscle in just 6 months while maintaining my weight. I did this by only eating whole foods such as beans and leafy greens. I didn’t use any protein powders. That’s how I know that you don’t need protein powder to gain muscle. But, you still may feel that you want to use protein powders. And you’ll be needing to choose the right blender to blend this up. Contrary to popular belief, not all blenders are created equal. One unit may be good at blending and even grinding nuts and fruits, but it may not be ideal for transport or for making batches of protein smoothies. Thus, without further ado, here is the list of blender units that you might consider using to make your protein shakes. I’m totally in love with dual-purpose devices, so imagine my delight when I got this blender. As I tend to bring along my protein shake and smoothies whenever I’m outdoors, I find it a hassle to always have to vigorously shake the container so that the beverage achieves the same consistency all throughout prior to drinking. This blender heard my prayer. Not only it is a good blender in its own right, but it also serves as an automatic mixer for when you’re ready to gulp down the protein shake. It’s simple: you just press the button after putting in the powder and water, and voila! A perfectly mixed protein shake minus the lumpiness. It’s also battery-operated, which makes it easy to transport and take with you to the gym. The container itself has a portable size and includes a hook handle and a spouted lid, making it a travel-ready drinking bottle. It’s a bonus that you can also store warmer liquids like soups in this container. I recommend this blender model if your main concern is the clump that forms on the surface of your protein shake after leaving it untouched for awhile. Now you can say goodbye to your barista-level shaking skills. Taking your protein shakes on the go and drink straight from the blender cup. Use the following discount code: BP20 to grab a 20% discount on this mixer and your entire order in the store. Click here to take a further look at the Electric Automatic Protein Blender Shaker (Smart Mixer). 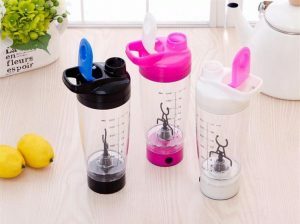 Another fan favorite among gym rats is this ultra-cute portable blender that features a fuss-free operation for a wide selection of shake recipes aside from those that are made from protein powders. This portable blender comes with a USB port for charging the battery, which is ideal if you’re someone who travels a lot but would never want to skip on a protein shake fix. I recommend this unit if you’re planning to add more ingredients to your protein shakes since it can handle tasks such blending and cutting through chopped fruits and soft veggies to give you the taste and consistency you’ve been craving for. This is also ideal for when you don’t wish to lug around a separate container for your beverage aside from the blender vessel itself. No list of best blender for protein shakes is ever complete without a mention of Ninja blender. In fact, it is a household name equivalent to healthy snacking and wholesome dieting. If you need to up your protein shake gaming, then this is the weapon of your choice. Packed with 700-watt power, it can grind through the hardest nuts and grains to give your drink an added texture. It’s also a great summer buddy, as it can whip up frozen shakes and smoothies so that you’ll feel refreshed glass after glass during the immense heat. Space-wise, it is a nifty addition to your countertop devices because it doesn’t cause a clutter on the surface. You can turn your so-so protein shake into something festive with the addition of fruits and veggies that are rich not just in nutrients but also in flavor. If you’re living on your own and barely need more than a single serving of protein shake, I recommend that you use this Ninja blender to fill in your blending requirements. It comes with two 16 oz cups with lids so you can conveniently fit it into your car cup holder. 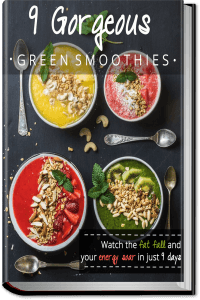 Check out the latest prices and read all the glowing testimonials for this blender on Amazon by clicking here. This single-serve model makes it to the list of best blenders for protein shakes mainly because of its versatility that rivals that of the large-capacity blenders. It also lives up to its name because you can turn your ingredients into a liquefied wonder within seconds—almost like magic! It can handle a variety of food prep demands such as blending, mixing, pureeing, whipping, chopping and grinding. Just be reminded, though, that it is only for single-serving use. The container you use for blending is the same container that can hold your beverage even when you’re far from home, thanks to its convenient to-go lid. You can take the whole Magic Bullet blender with you in a handy bag so you can never skip your dose of protein shake. This is the blender that I travel with most of the time, and I used it in my own kitchen for smaller batches of food such as sauces and dips. With a powerful motor base of 1100-watts, this Ninja blender model is a force to reckon with. If you ever find meal prepping for a family a huge deal of work, you can rely on this blender to introduce your folks to the wonders of drinking protein shake and smoothies. This professional-grade blender is ideal for making a batch of the same health drink without the usual inconvenience of having to measure ingredients and repeating the same process all over again. It has also got an ice crushing functionality that helps you achieve the right consistency for your frozen delights. Plus, it takes the hassle out of your cleaning routine as it is dishwasher-safe—something that can be the difference between you making a shake and not making a shake. This unit is among the best blenders for protein shakes in terms of versatility and capacity. If you’re looking for a blender that literally has it all – this is the one. 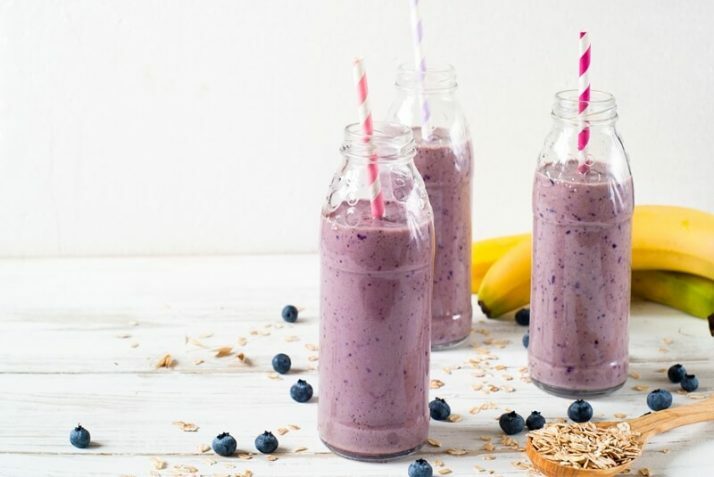 Not only can you make a large batch of protein shake in the big blender jug, but you can also choose to use one of the smaller smoothie cups to turn the blender into a personal blender, and drink your shake in the same container it was blended in. The only thing this blender isn’t good for is taking with you out of the house or travelling with, due to the large and heavy base. This is the blender I use at least once a day to make massive batches of protein shake for me and my family. Vitamix’s Professional Series features a smaller, low-profile pitcher that combines the capacity to hold around 64 oz. of liquid and the space-saving ability that makes it possible to fit into most kitchen cabinets. Perhaps the best feature yet is the automatic cleaning functionality in which the blender can self-clean with just a turn of the dial. This, aside from the intelligent blending presets, is what makes the blender a bang for your buck. Alternatively, you may flick on the dial to control the blending speeds according to your liking. The reason why I love my Vitamix so much is because of it’s power. There is nothing that this machine can’t blend. Not only are my protein shakes silky smooth, but I can also whip up ice cream, nut butters and any other blended creation my heart desires. Best of all is the long 7 day warranty so you know you are going to make an investment into your health that lasts for a very long time. Taking your protein shakes on the go and drink straight from the blender cup unless you buy the extra Vitamix Cup And Attachment. Taking the entire blender with you out of the house unless you’re prepared to lift a very heavy base. Very small batches of food unless you get the cup and attachment mentioned above. 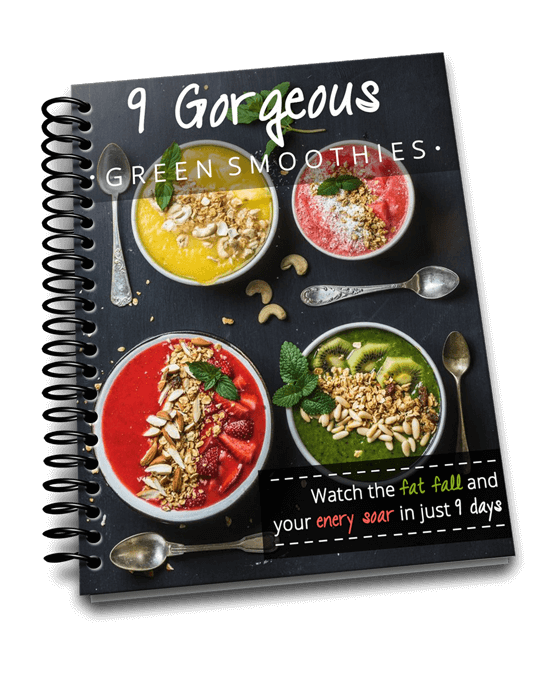 Since I usually add frozen fruit, frozen greens, frozen beans or ice to most of my shake recipes, it is very important to me to use a blender that also doubles as an ice crusher. Such functionality is ever present in AAOBOSI professional-grade blender. To achieve the snowy consistency in your shakes, this blender comes equipped with Total Crushing Blades, enough to pulverize ice and liquefy frozen fruits in a jiffy. With a 52-oz holding capacity, you can easily make up to four glasses of plant-loaded protein shake without any problem. While the biggest selling point of this blender is probably its touch-screen buttons, there’s no trade-off for such elegance because it gets the job done perfectly and without a hitch. This blender also comes with a grinding jar, which is not large enough to make an entire shake in, but can be easily used to grind nuts, seeds or even beans to make your own protein powders. Eating too much processed and junk food causes your body to bloat and you’ll feel the desperate need to cut back on calories and eat a more natural diet. But how exactly do you do that without compromising important nutrients? Simple: by drinking homemade natural protein shakes. I usually use protein shakes as a complete meal replacement as I like to keep my weight at my ideal range so I watch my calorie and nutrient intake for every meal. I always track my nutrients and make sure I get enough of my macronutrients such as protein and also micronutrients like calcium and magnesium. 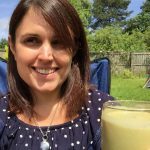 My whole website is dedicated to nutritionally complete homemade shakes that contain enough protein. Not only will homemade protein shakes provide you with more than enough protein, but they will also help you get all of the nutrients your body needs for you to feel full of energy, healthy with glowing skin and a much lower chance of having a serious illness or disease. The protein sources I use most often in my homemade shakes are nuts, seeds, beans, tofu or lentils. When you consume protein from protein shakes, most of the micronutrients have been stripped away which leaves you depleted of vital nutrients your body needs. That’s not to say that you should never consume protein powders. I like to keep some healthy protein powder in my cupboard for emergencies, if I happen to run out of natural protein sources. I also sometimes make my own homemade protein powder which is just made from whole foods. So I do use a variety of protein sources in my protein shakes and have many different delicious homemade protein shake recipes to share with you. 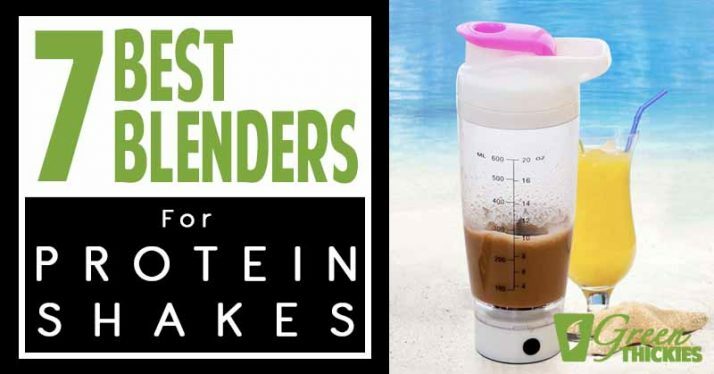 Based on the above list, I hope that you have found the best blender for your protein shakes. 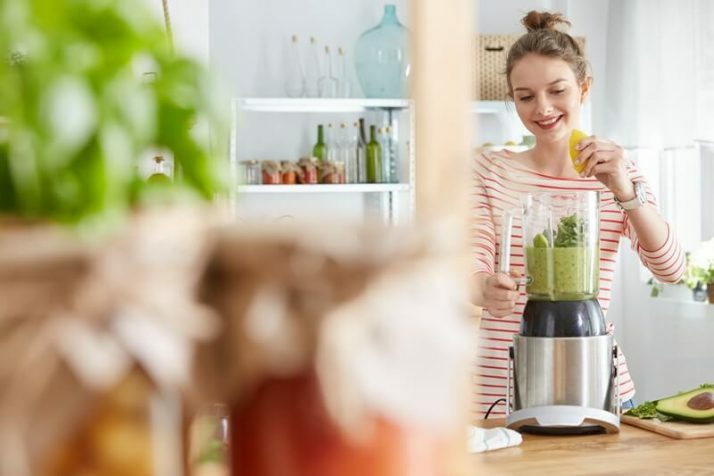 I have saved you the hassle of having to gather the nitty-gritty of each top-performing blender so you can just decide which one deserves the spot in your kitchen cabinet. Remember, the final result of your protein shake will depend on how it has been blended, so I suggest that you make the right choice. After all, you’re going to invest in something that can help you stay healthy, lose weight and build muscle, and inspire kitchen creativity at the same time. With all the things taken into consideration, you’ll soon be able to sip your way towards a healthy diet. If I had to choose just one blender for protein shakes, I’d choose this blender as it is the most versatile at a very affordable price. If you enjoyed this article, 7 Best Blenders For Protein Shakes: To Suit YOUR Needs, please let me know your thoughts in the comments.